Palaepaphos: The compartments created between cross walls and terrace walls were evidently used for storage and for the industrial facilities of the palace. The 2014 excavations at Kouklia-Palaepafos have been completed. The excavations were conducted by the Archaeological Research Unit of the University of Cyprus, under the direction of Professor Maria Iacovou. On the outskirts of the village of Kouklia, a short distance to the east of the sanctuary of Aphrodite at Palaepaphos, the archaeological mission of the University of Cyprus located an impressive citadel wall of the Classical period on the plateau of Hadjiabdoulla. The wall defines and protects the north site of a monumental edifice known since the 1950s as the palace of the last royal dynasty of Ancient Paphos. The rampart extends for over 80 meters and many of its walls are preserved to a height of a meter and a half. The citadel wall on Hadjiabdoulla is a well-designed scheme of defensive architecture; it consists of three main parts: (a) a three-meter wide main wall; (b) long and narrow cross walls, which are built against the main wall and extend almost to the edge of the cliff; (c) there, they join a curtain wall that runs parallel to the main wall. The curtain wall is the topmost of a series of descending terrace walls built against the steep slope of the cliff. This is the most impressive part of the system and it suggests that the natural slope in its entirety was incorporated in the defensive scheme. The compartments created between cross walls and terrace walls were evidently used for storage and for the industrial facilities of the palace. 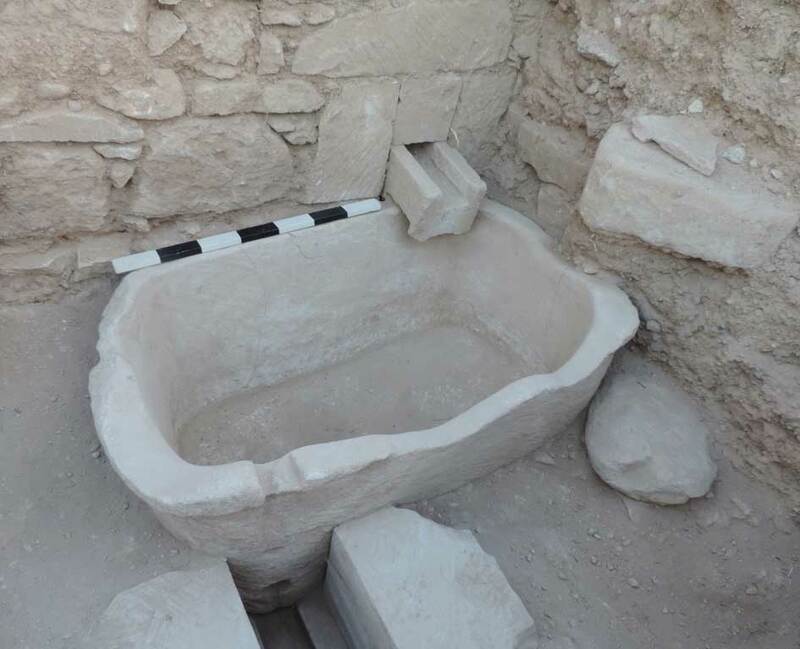 Two large storage vessels were found in situ, while numerous pithos fragments that belonged to local and imported vessels were found in almost every room. The team also exposed an industrial installation set between two of the terrace walls; it consists of a deep stone basin (bathtub) and a drainage system made of finely cut stones. Collapsed roof material bearing the impression of beams, as well as large roof tiles show that the complex included extensively roofed spaces. In addition, many of the walls were coated with plaster. Evidently, the north wall of the citadel was a significant and well-maintained part of the palace compound. Palaepaphos was the capital of the Paphian kingdom almost to the end of the fourth century BC, but its town plan and its different urban sectors, which appear to have occupied the plateaus around the sanctuary, are almost invisible. 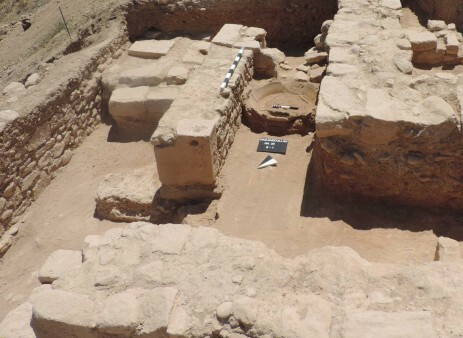 The primary target of the “Palaepaphos Urban Landscape project”, which was initiated in 2006 by Professor Maria Iacovou of the Archaeological Research Unit, is to uncover and study the structure of the capital centre.